Apparently almost all common objects and animals symbolize circumstances in your life or predict your future if you dream about them. 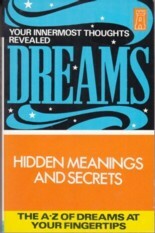 The 284 pages of Dreams Hidden Meanings And Secrets (1987) list about 3800 common objects that are symbolic or prophetic if dreamt about. If you need some cash dream about a hunchback because, "It is a sign that you will be financially fortunate." A female could alternatively dream about diamonds because, "it indicates marriage to a man of distinction and great wealth." Failing both of these try to dream about a silver dollar because, "If you see a silver dollar it means good luck." And that's not all! Dream-content that foretells wealth is probably more varied than you imagine. 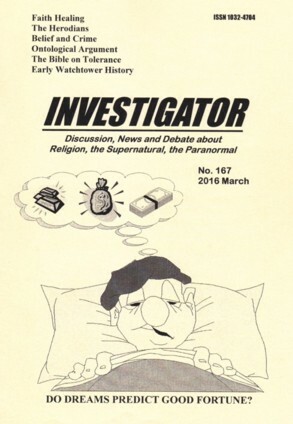 Dream about "climbing in or out of the fuselage of an airplane", because "You will be likely to find a sum of money…" Or dream about putting food in a refrigerator because that's "a sign that you will be prosperous…"
Apparently no one dreams about the supernatural — "Ghost", "Vampire" and "Werewolf" are not listed in the book. "To dream of being in the land of the fairies peopled with elfin sprites signifies unexpected riches that will come to you through some simple invention of you that is needed in the commercial field." "To dream of discovering a mummy in an underground tomb predicts new and unusually prosperous undertakings." Perhaps there are opportunities for wealth from dreams that my cursory reading missed. To avoid this possibility read the book for yourself — Dreams Hidden Meanings And Secrets.